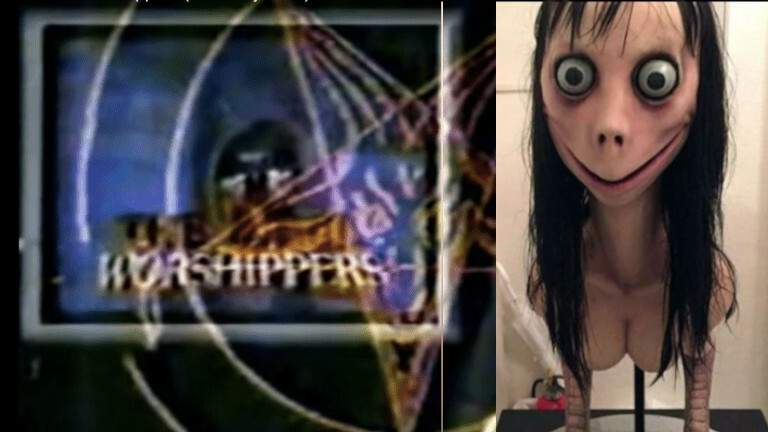 According to reports from gullible parents' organizations, police departments, and media outlets, Kids on the Internet are spreading memes featuring an image of "Momo" (actually a sculpture called "Mother Bird" created by Keisuke Aisawa for the Japanese SFX studio Link Factory) that includes explicit self-harm and suicide instructions (the "challenge" in "Momo challenge" is allegedly to get kids to hurt or kill themselves). It's a hoax, though. There are no verified sightings of Momo Challenge memes in the wild, and this isn't even the first time this hoax has gone around; it circulated in September 2018 as well. As Taylor Lorenz writes in The Atlantic, this is part of a genre of hoaxes that rely on parental anxiety about kids' use of technology to spread incomprehensible cultural ideas, from the Satanic Panic over backmasked secret messages in heavy metal lyrics to the "eating Tide Pods" hoax to the fictional deaths linked to the "cinnamon challenge." As it happens, there is someone who -- unrelated to the Momo hoax -- appears to have inserted at least two self-harm messages in kids' videos. These trends are “part of a moral panic, fueled by parents’ fears in wanting to know what their kids are up to,” Benjamin Radford, a folklorist and research fellow at the Committee for Skeptic Inquiry, told Rolling Stone. And spreading them can actually end up causing harm. “These stories being highly publicized, and starting a panic means vulnerable people get to know about it and that creates a risk,” the U.K.-based suicide-awareness charity Samaritans told The Guardian. Some kids can also end up hurting themselves by participating in the trend ironically.